Gravity-Fed Water Filters – Should You Buy One? As you must have already found out, there are a wide range of water treatment choices on the market when it comes to water purification. 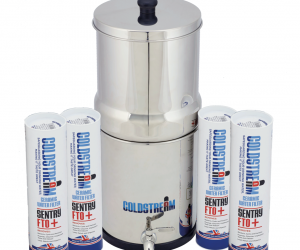 Starting with in-built water filter systems to gravity-fed water filters, the chances of you finding the best way to get rid of contaminants from your water are high. Before purchasing a filter, we suggest doing a little research, meaning you should get your water tested to find out which treatment methods you should be opting for. Water treatment can mean a lot of things and there is a difference between water filtering and water softening, so in order to make an informed decision, make sure you understand the process of water treatment options. Also, there are other factors you should pay attention to when buying a water filter for your home: don’t forget to take into consideration the lifestyle you have and try to choose a filter that meets your needs. If you don’t own a home and you move a lot, a portable water filter would be the best choice for you. In the following article we are going to discuss the advantages and disadvantages of a special type of water filter systems: the pros and cons of gravity-fed water filters. Let’s see how these filters work and what contaminants they remove. What are Gravity-Fed Water Filters? 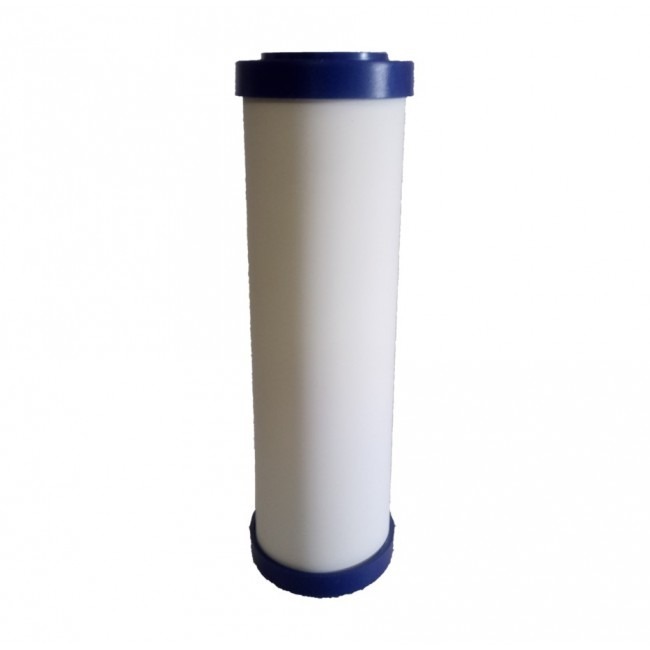 Gravity filters are designed to offer you a reliable and high-quality option to filter your water anytime, anywhere. Since these filters are not plumbed directly into your main water line, they are a convenient solution for travelers or people who don’t own a place and move a lot. These water filters are easy-to-install, they need no electricity in order to function and as we mentioned above, they are not connected to a municipal water supply. Thanks to the portability aspect and easy installation method of these water filters, you can take them anywhere with you and get them set up quickly and easily to provide pure potable water for you. So, if you are a backpacker or an adventurer who loves hiking, fishing and spending time off-grid, you must know how important is to have immediate access to pure drinking water whenever you need it. 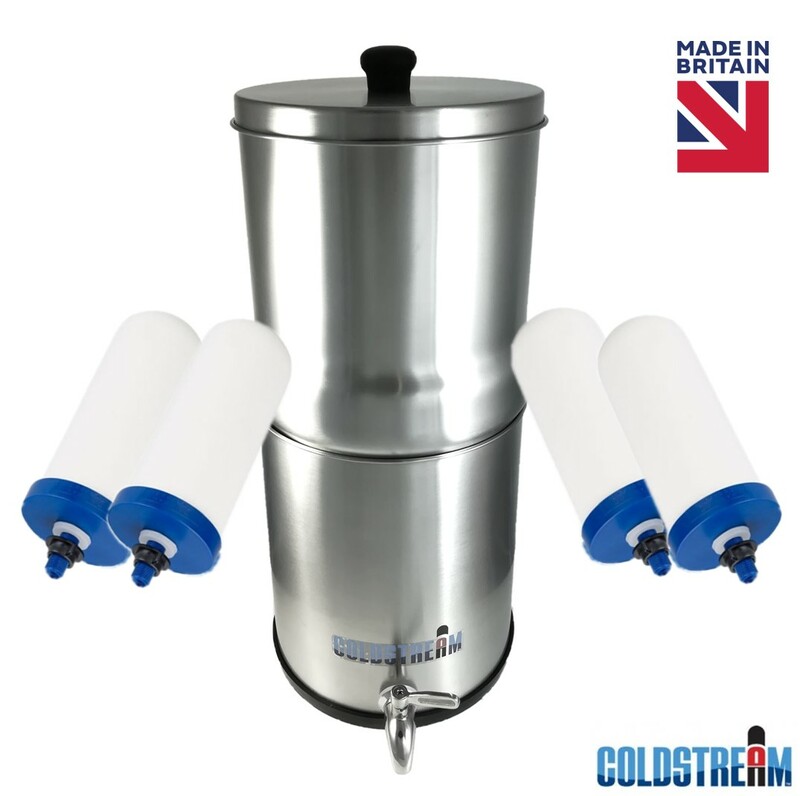 Unexpected situations can occur anytime during expeditions, so in any case of emergency this type of water filter system could be the best partner for you to travel with. The idea of gravity water filtration is based on simplicity and portability, so the process is really straightforward and easy to use by anyone in any circumstances. Because they’re lightweight these water filters are easy to carry, making it possible for you to take them to trips or move them easily. 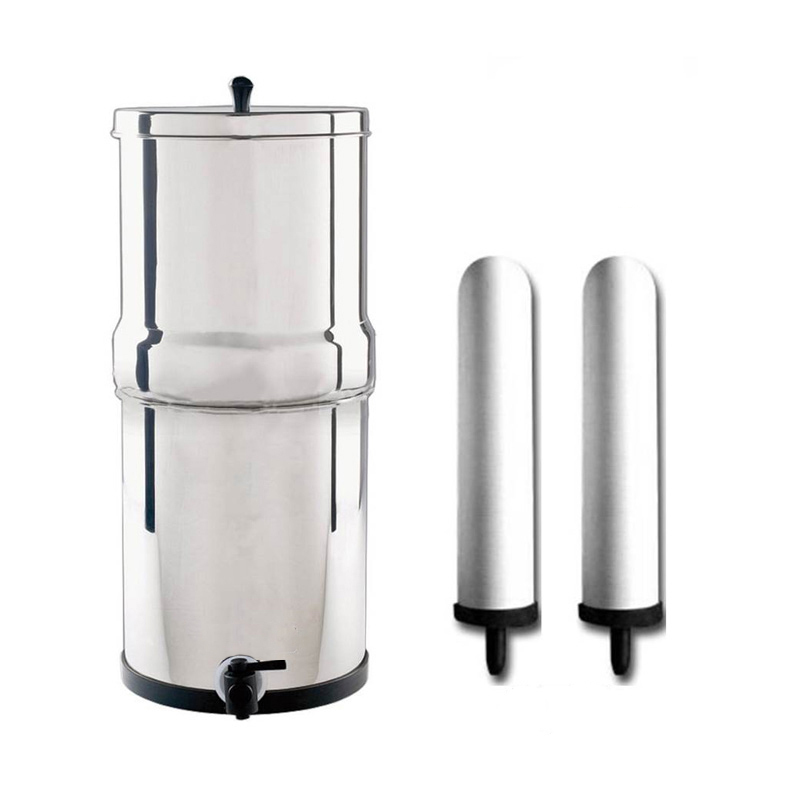 Gravity water filter systems feature a double chamber construction as they have two chambers connected to each other. This is where the water filtration happens in two simple steps. These filters have an upper chamber or so-called reservoir installed on top of the other. The upper chamber holds the two filter cartridges, this is where unfiltered water enters filter system as it’s poured in for filtration. The lower chamber is where the filtered water ends up after filtration. You can access it and enjoy your pure drinking water via a spigot fitted on the side of the chamber. Basically, unfiltered water goes through the top chamber and by the force of gravity it seeps through the ceramic filter candles located within the filter. The last stage of filtration is when the water gets to the bottom chamber and is ready for consumption. The process is very simple, you just pour some water into the upper chamber, wait until it trickles down through the cartridges into the lower chamber. When ready, use the tap on the side and enjoy a glass of fresh-filtered refreshing water. What Contaminants Do They Remove? Regarding their filtration capabilities, gravity-fed water filters remove a wide range of contaminants from your water. The simplicity of these filters does not mean that they are less reliable than any other water filter system. They are just as efficient and as reliable as the other professional plumbed-in water filter on the market. The simplicity of their design and the portable package is just an extra advantage coming with these filters. As every water treatment system and any product on the market, gravity filters also have their advantages and disadvantages. Depending on your lifestyle, the purpose and place of using these filters, some pros and cons can mean a lot when making a purchase decision. In order to make your water filter shopping experience smoother, let’s take a look at the pros and cons. Considering these, let’s see whether you should buy or not a gravity water filter. Regarding their design and functionality, gravity filtration systems are very simple and in the same time very efficient, so they won’t cause any problem for anyone to install, use and maintain these filters. They are easy-to-install and easy-to-maintain filter systems, they require almost zero maintenance. The only thing you will have to do from time to time is to replace the filters based on the instruction given by the manufacturer company. You will have a lot of options regarding the size of this type of filter, they come in a whole variety of sizes. They are feasible and handy, so you won’t have any problem either with figuring out where to put them. You can place them anywhere in your home, you can use them as counter-top water filters, or you can simply put them on a simple table or furniture anywhere in the house. Gravity water filters don’t require any electricity in order to function. Amazing, isn’t it? Since DIY is so trendy nowadays, it’s worth mentioning that you can actually build your own DIY gravity filter if you don’t want to purchase one from the options available on the market. Although easy-to-install filters are cheaper due to the fact that they are made from fewer components, some parts of gravity water filters can be quite expensive to maintain. The problem is not with buying the actual water filter; it is with replacing units and filters instead. The price of replacements can vary. You will need to do some math in order to keep yourself and your family hydrated. Take into consideration the amount of water you daily consume and make sure the filter you choose will be large enough to be capable of providing that amount of clean water. Another aspect you should pay attention to is how fast is the filter you are planning to invest in. There is a difference between gravity filters produced by different manufacturer companies, so some filters offer a faster filtration process, while others have a slower filtered water output. Why Should you Buy a Gravity-Fed Water Filter? Buying a gravity water filter is really a worthwhile investment if you need this type of portable water filtration unit. It has its advantages and disadvantages, but at the end of the day all that matters is that you have pure filtered water in the simplest and easiest way. If you’re looking for portability and suitability for off-grid use, gravity water filters are just the best water treatment systems to make this possible. How to Remove Arsenic from Water? Why Choose a Countertop Water Dispenser for Your Business?